265 Southside Drive, Southside Estates, for $3.6 million in Breckenridge. If the spring mud season is any indication, Summit County’s real estate market could be in store for another blazing summer of record-breaking sales. In March, limited inventory was blamed for cutting into the number and total volume of local real estate sales, but that didn’t carry over into April with the month surpassing almost every measure compared to April 2017. Overall, nearly 200 property transactions worth over $141 million were recorded in April by the Summit County Assessor’s Office, and the value of April’s sales was up over 25 percent compared to $112 million from the same month last year. Measured against April 2016, when Summit County logged 162 property sales for $83.9 million combined, it shows just how much the local real estate market has grown over the last two years. Summit County real estate sales typically slow in the fall and winter before picking up again in the springtime and exploding over the summer, when the vast majority of sales occur. The summer sales typically continue showing up in the monthly sales reports from the assessor’s office through September and, more recently, even early into the fourth quarter, said longtime real estate professional Paula Stanton with LIV Sotheby’s International Realty. The number of sales was up slightly in April, but the number of luxury homes closed on increased more than 25 percent compared to April 2017. In a county where one or two sales often eclipse the $3 million mark every month, there were six at or above that price tag in April. It should be noted, however, that many of these deals were likely in the works for months or even longer, Stanton said. A blockbuster $7.4 million sale for the Riverfront Condos in downtown Silverthorne led the way on April’s sales report, and the purchase came with a significant amount of rental income, as the property features 45 apartment units along with rec and support buildings, according to the Summit County Assessor Beverly Breakstone. Another large deal featured a $4.2 million transaction for a development property in downtown Dillon while three Breckenridge homes, each selling for $3 million or more last month, rounded out the five most expensive transactions of the month. According to the LIV Sotheby’s International Realty, there really is no slowdown in sight for the local real estate market, and the low number of available listings will likely continue being “the largest influence” on property values. “It’s a healthy market,” said Paula Stanton. She acknowledged that can be frustrating at times for buyers, but her experience is opportunities exist for buyers who are proactive and prepared to move. LIV Sotheby’s latest market report suggests that increased buyer confidence, along with economic and population growth, rising upper-tier wealth and the strong performance of resort markets, is only expected to keep fueling Colorado’s strong real estate sales. For the entry-level segment of the housing market in Summit County, bidding wars are becoming much more typical, the firm added. 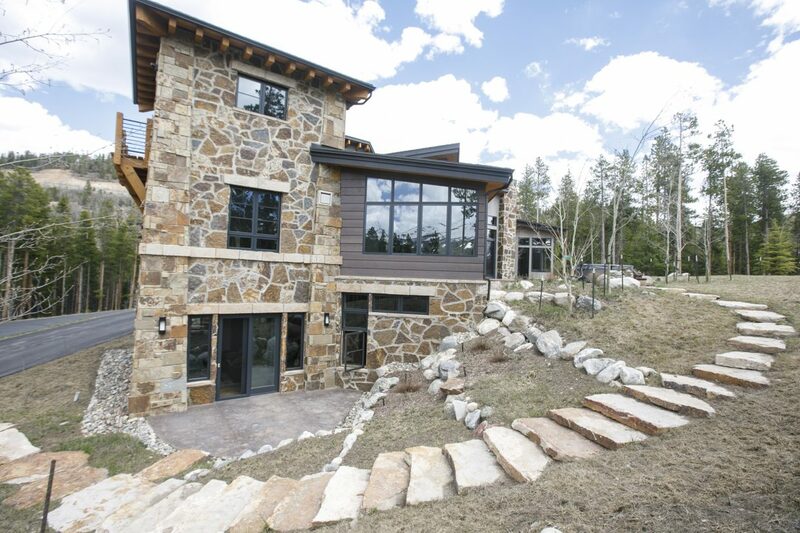 In fact, Stanton, who recently closed a $2.4 million deal in Breckenridge, experienced a bout of fierce competition herself after one of her buyers recently put down an offer on a listing and another wasn’t far behind. The fierce competition is a result of the lack of inventory, a problem that’s exacerbated by climbing construction costs and the difficulty of finding available land at a viable price, according to LIV Sotheby’s International Realty. Rising interest rates are also looking like “a double-edged sword,” according to the real estate firm, which expects the rising rates to gradually limit entry-level and mid-range homebuyers’ ability to qualify for financing. At the same time, the rising rates are also leading buyers to feel a sense of urgency and move on housing purchases before rates increase even more, regardless of the price point.